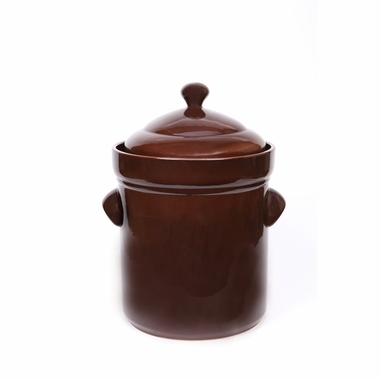 Sauerkraut or pickled cucumbers prepared in this 15 Liter stoneware pot are indispensable sources of vitamins. 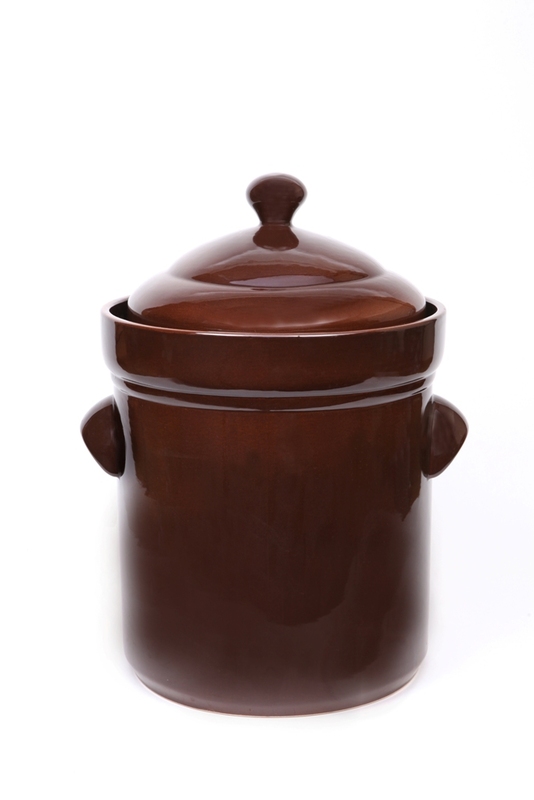 Vegetables stored in airtight crock pots such as the ME2115 15 Liter Crock pot have proven to be one of the best possible ways to maintain the vegetables flavor and fresh aroma. Contrary to foods pasteurized in preserve jars, food items stored in stoneware containers lose none of their nutritional value. excellent quality and perfect for our needs. Well made. VERY heavy. Proof of effect will be when kraut is tasted in 6 weeks!